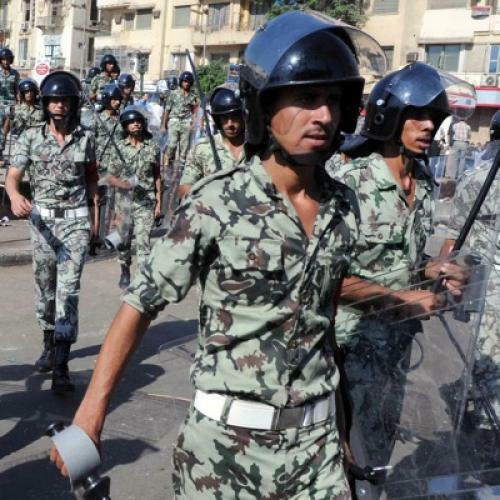 Cairo Dispatch: Why Have the Public and Police Turned on the Protesters? Cairo—In Liberation Square, the first day of the Muslim holy month of Ramadan proved decidedly unfestive when baton-wielding security forces tore down protesters’ tents and chased them from the area. The group of demonstrators had taken over the square on July 8, vexed with the slow pace of reforms by Egypt’s military leaders since the 18-day revolution that toppled President Hosni Mubarak in February. Though the protesters have championed causes that resonate with the population, such as arresting corrupt government officials and expediting trials for security forces accused of killing activists last winter, they have failed to galvanize Egyptians as they did in February. The scorching heat and the obligatory fasting that accompanies Ramadan weighed heavily on the demonstrators. Slightly after noon on Monday, a light skirmish broke out after one man accused another of taking his blanket. Others moved in to separate the two but were drawn into the dispute. Before long, the protesters demonstrating against the military were protesting against each other. As I listened to their heated arguments, their frustrations and divisions became clear. The cohesion and determination that I witnessed in the same square in February was markedly absent—and this would soon prove to be their downfall. The security forces capitalized on the disarray. Hours after the argument, they swooped down on Liberation Square and, within minutes, had cleared it out. Some appeared to relish their task. The loathed riot police, clad in their bland black uniforms and wielding black poles, honed in on a shanty structure off the square covered with Egyptian flags and banners. They pummeled it. Others set their sights on a vendor’s drink stand and demolished it, black liquid oozing from the destroyed stand under the soles of their boots. But it was not their zeal that secured their victory. Rather, the protesters’ small numbers and the Ramadan holiday ensured their own defeat. At least 26 of the country's political parties, including the powerful Islamist factions, suspended protests for the month of Ramadan, and many Egyptians are more focused on celebrating the holiday than demonstrating. Less than one-tenth of the hundreds of thousands that poured into Liberation Square in February returned this summer. Consequently, they have been unable to inspire the support of their fellow Egyptians. Worse, residents of Cairo have grown weary of the protesters’ antics and many view them as little more than a nuisance, who, among other things, force time-consuming detours by keeping the square’s vital traffic arteries closed. The protesters’ chief dilemma is their lack of a strong rallying cry. In February, they succeeded in unifying the country by insisting that Mubarak resign. But, today, they have a grocery list of demands that few understand and even fewer agree on. At the same time, protesters have proved unable to mobilize Egyptians against their new adversaries: the country’s military leaders who took power after Mubarak stepped down. Demonstrators are frustrated with the generals’ refusal to implement their demands, claiming the officers are protecting the ancien regime that patronized them. But, unlike the long-serving Mubarak and his corrupt cronies, Egyptians harbor deep affection and respect for their armed forces. The army’s decision to remain neutral during the revolution by refusing to crackdown on protesters only won it further admiration. As a result, the demonstrators have failed to persuade Egyptians to direct their frustrations at the military. So, when security forces stormed Liberation Square on Monday, bystanders nodded approvingly and even cheered them on. They neither shouted anti-government slogans nor offered the protesters a ring of protection as they did in February. While I spoke on my phone, reporting on what I saw, a youth who may have viewed a foreigner as a friend during the revolution called me a spy; a crowd quickly formed, demanding that I be turned over to the officers so efficient in their security sweep. Later, after the crackdown, I had a conversation with a man who objects to the protests, and compared the demonstrators to the baltagiyya, or armed thugs, paid by Mubarak supporters to break up the protests in February. Indeed, the riot police that Egyptians once detested have become their protectors from the protesters whom they once admired. Protesters are discovering that a population who once supported their every move pines for a return to normalcy and the daily monotony that goes with it. Though activists are still enthralled with the revolutionary zeal that captivated the country and the world last winter, they can no longer win even the admiration of their fellow citizens.